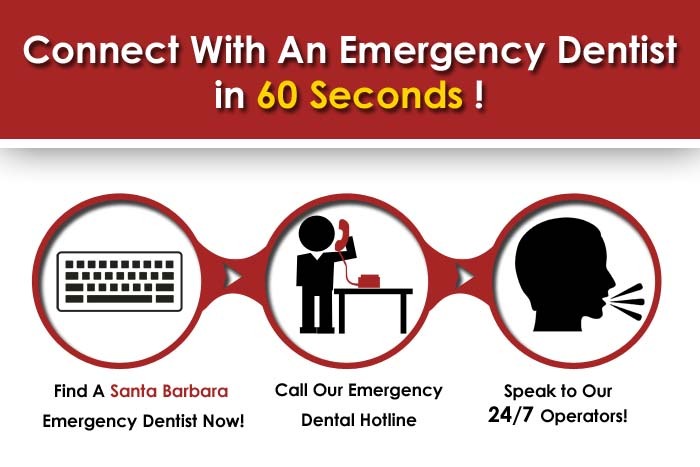 Let us guide you with just one simple phone call to an emergency dentist in Santa Barbara, CA! Emergency Dentists USA is a one stop portal for you to find the closest urgent care dentist to where you are staying in California. When you pick up the phone and call our 24 hour, 7 day a week hotline, you will find the relief of sitting in the chair safely being looked at within a short period of time. We have created a nationwide network of dentists that can even see you on Saturday or Sunday, and Santa Barbara is included in this network! If you are unable to reach any of these dentists right away, we provide a hotline for you as well that acts as a one stop service to locate a Santa Barbara emergency dentist. This beautiful oceanfront location is not where you want to end up with throbbing tooth pain, and we can quickly provide for you instant relief and a clinic to offer you walk in dentist services here. 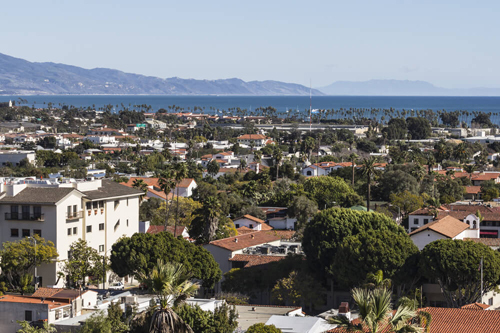 The county seat of Santa Barbara County, this is a city that is widely known as the “American Riviera”. The climate and south facing views of the sea make it a popular tourist destination, and it is a large technology employment hub as well. These Santa Barbara dentists have been vetted by Emergency Dentists, USA, and will be at your immediate aid if you fall prey to an extreme need for a 24 hours dentist. If you are unable to immediately reach any of these, don’t hesitate to call our after hours emergency dentist hotline! Description: You can call 24 hours a day and 7 days a week to speak to a 24/7 dentist by using our emergency dentist Santa Barbara hotline. Whether you are looking for dental offices open on the weekend or simply encounter unbearable late night pain, we understand how bad and how quickly you want relief. Our partners maintain relationships with excellent late night dental clinic personnel all over the country. Description:Serving this lovely coastal area since 1963, Steven made the move to purchase his father’s practice and and renamed it as his own. They are known for absolutely believing that a smile can change someone’s life, and their track record in the community shows it. They are fully committed to having a humble practice, and paying close attention to detail while caring for your closest emergency dentist needs. Description:a dentist in Santa Barbara with capable of emergency root canals, diagnosing your infections, and x rays for determination of treatment, his focus it on keeping as much of the original structure of the tooth as he can. Known widely for making all of his patients feel as comfortable as possible, his thorough oral examinations and application of all procedures makes him a great choice for your after hours dentist needs. Doctors: Nina Madavi, D.D.S., B.D.S. Description:This winner of the “Best Dentist” award from Santa Barbara News Press 2013, Nina is open 6 days a week, making her a great choice for a weekend dentist. Earning particularly high marks for her accomplishments in child dentistry, her office is on State Street in the heart of this beautiful city by the sea. Don’t let a sudden toothache or other weekend dental emergency make your stay at this resort town end in an episode of being bedridden instead of with your toes in the sand! This California town that lies by the steep range of the Santa Ynez Mountains is a prime spot to enjoy all of the wonderful aspects of the Pacific Ocean. With a population of around 425,000, there are excellent employment opportunities here at companies like Alliant Techsystems, Citrix, and Raytheon. If you find yourself in severe trouble with a toothache or other problem that puts you in need of a 24 hour dentist Santa Barbara, CA, we would love to be the service that helps you get emergency dental attention right away.